Here's how funding works. And why the community needs BCEF. Working as a non-profit partner of the Batesville Community School Corporation, the Batesville Community Education Foundation exists to support BCSC’s innovative programs. The schools must use local property tax revenue in mandated ways, such as for capital projects and transportation. Funds for staffing and general instructional programs come instead from the state. Each school corporation receives a varying amount based on a complicated formula. 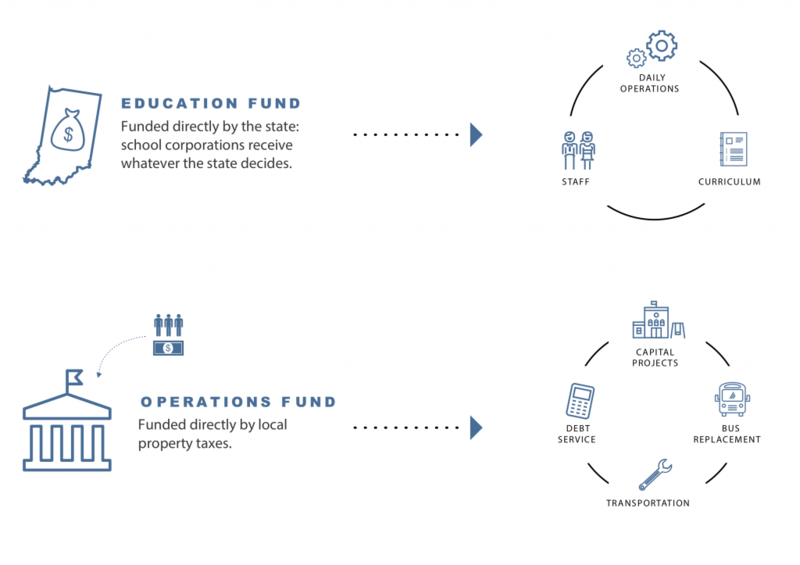 In recent years, the state’s funding formula has negatively impacted many school systems such as ours, receiving fewer dollars per pupil than most other schools. No matter the number of dollars received, the state educational requirements for providing basic instruction remain the same. Stretching the dollars as far as possible, the schools have little left for unique opportunities such as real-world exploration and practical, hands-on experiences that further foster learning. This is where BCEF steps in, funding initiatives like flexible learning spaces, 1:1 computing, and classroom grants. Through assistance from BCEF, Batesville schools continue to be ranked among the top school corporations in the state, educating our students in extraordinary and remarkable ways — beyond the basics.